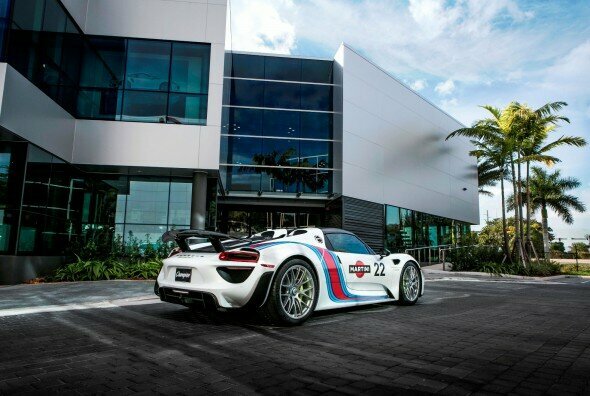 A few photographs of The Martini Racing 918 Spyder alongside our 911 Turbo w/ the Martini Racing graphics from Porsche’s Tequipment Motorsport collection. Not just a dealership, but a destination. 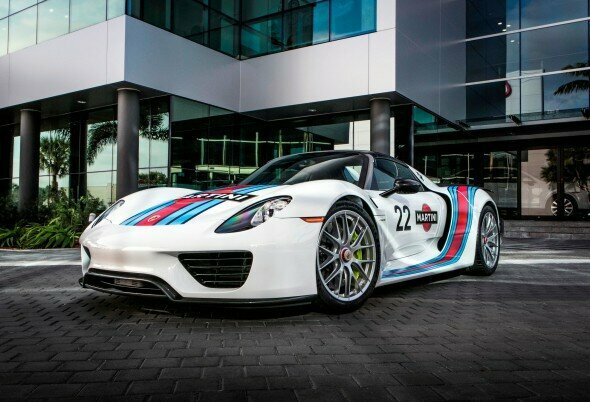 Champion Porsche. This entry was posted on Monday, January 12th, 2015 at 9:01 am. 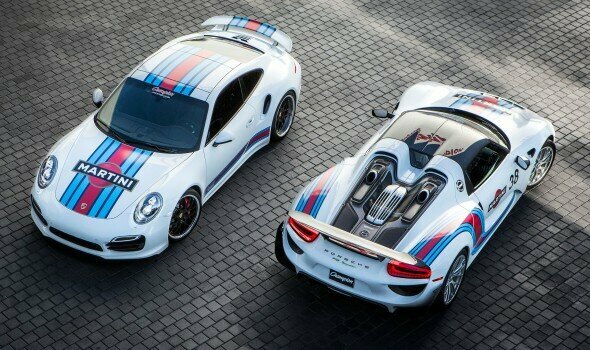 It is filed under Automotive, Champion Motorsport, News. You can follow any responses to this entry through the RSS 2.0 feed.